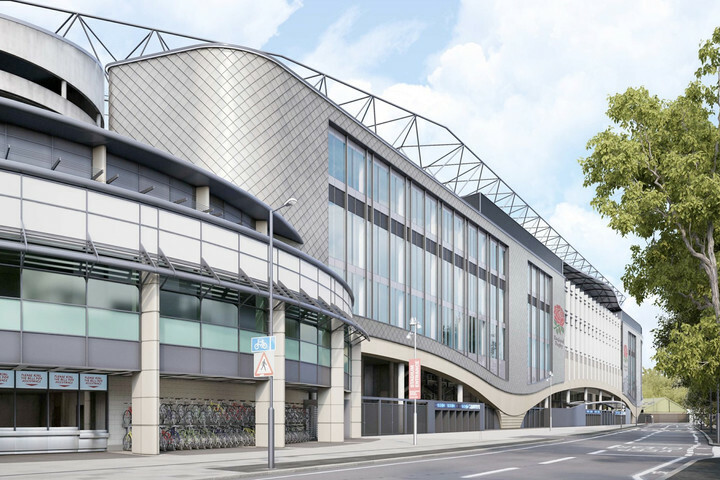 The new East Stand spaces are being developed to focus primarily on match-day following the launch of England Rugby Hospitality, a new venture which sees the Rugby Football Union (RFU) become the exclusive provider of all hospitality at Twickenham Stadium from autumn 2018, supported by long-standing official hospitality agent Keith Prowse. On non-match days, the new event spaces present a range of new opportunities for corporate events and a wide variety of private functions throughout the year, which will be managed by Twickenham Experience. The East Stand development will include five levels of space for receptions, parties and dining, including the new rooftop Rose Garden which will have a built-in stage for live music performances. The updated stand will also include a space suited to conferences on level three, named The Lock, which will be able to accommodate meetings, dinners and receptions with great views of the pitch. There will also be more intimate spaces within the East Stand for high-end dinners with terrace access as well as informal drinks and dinning options in The Gate and Ale House situated on Level One. Work first began on the East Stand in early 2016, with the aim of re-opening the facility by autumn 2018. Nils Braude, Catering and C&E Director at Twickenham, says: "We are very excited to offer over six new event spaces as a result of our East Stand refurbishment. The variety of space on offer adds to the wealth of options for events at Twickenham, especially for bespoke events and private hire. After much planning, it is so exciting to finally see the project come to life and we are looking forward to unveiling the finished result in autumn 2018."